Happy Tuesday everyone! I woke up this morning thinking it was Wednesday…..wishful thinking. 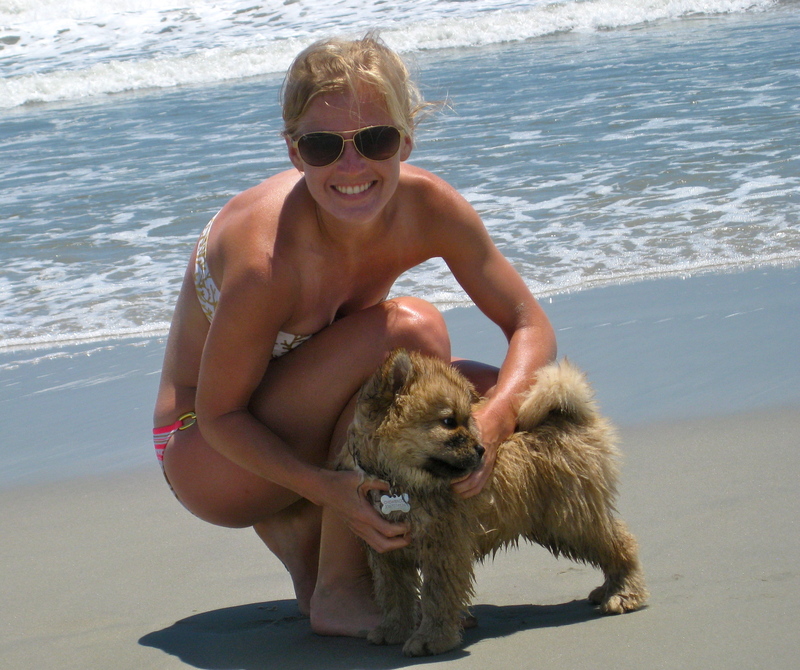 I wanted to remind all my friends to check out my new blog at SupersonicSunflower.com ….thats right! I know have my own Domain. So please check out my new link and subscribe to this link. I will not be posting at this link anymore. My idea behind decorating our house was to make it feel “homey/comfortable”. 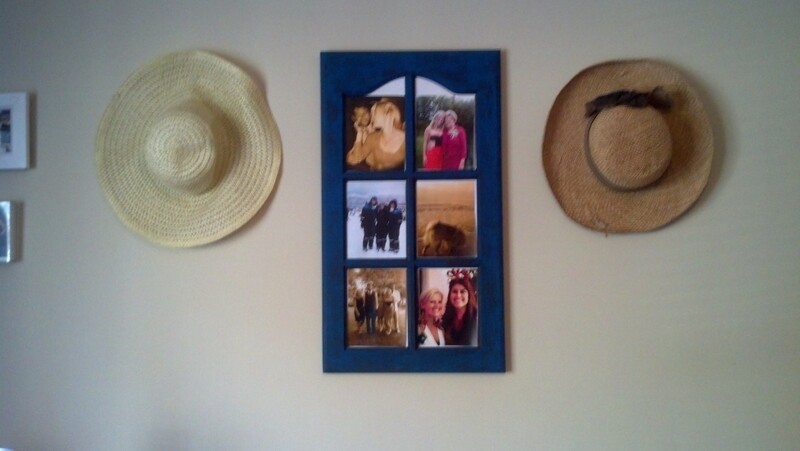 By doing this I wanted to surround our selves with items that have meaning or have a story behind it. I also just love showing off my crafts/ideas haha. Here is a quick update on what I have been working on. 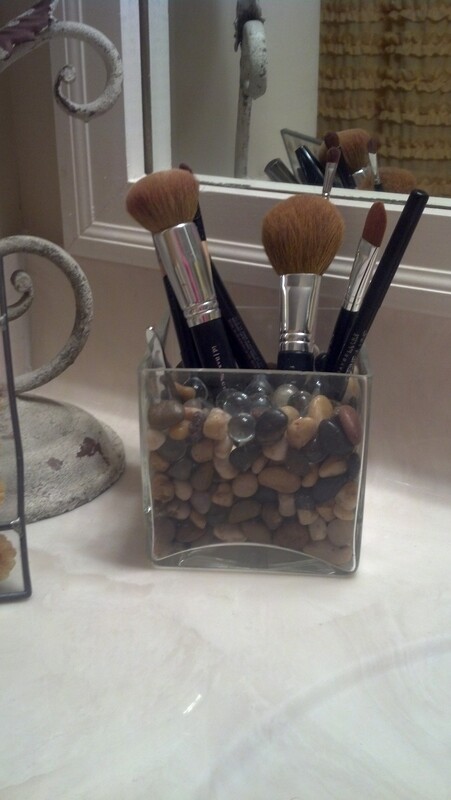 A simple vase turned into my makeup holder….just had some stones to your vase and your done! My accessories station. 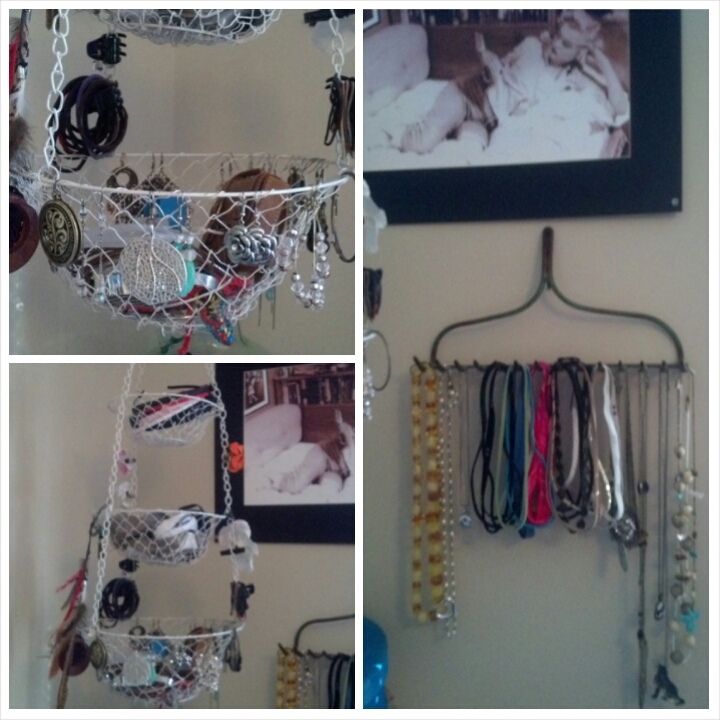 Took a fruit basket and turned into my jewelry holder. I found this old rake on the side of the road and made it my necklace and hairband holster. 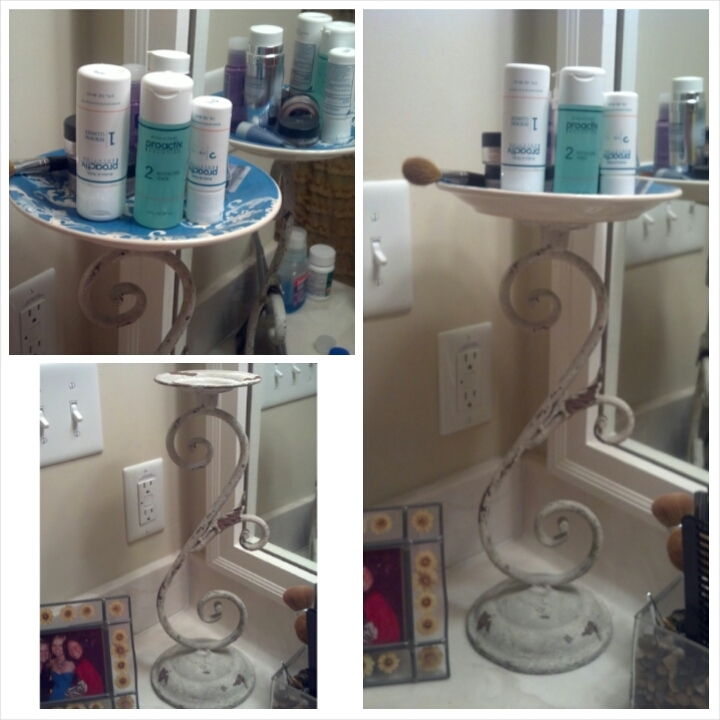 We do not have a lot of countertop space in our bathroom so I created this tall stand to create more storage space. I found this candle holder at HomeGoods on clearance along with this pretty blue plate. It is perfect for my items that I use everyday (facewash, makeup, lotion, etc). So since Andrew has moved back in we are running low on space. Our old laundry basket took up to much space and did not have a lid (I don’t need our dirty laundry staring at me every time I go to the bathroom). So I found this old/dirty green laundry basket at our local thrift store for $3. 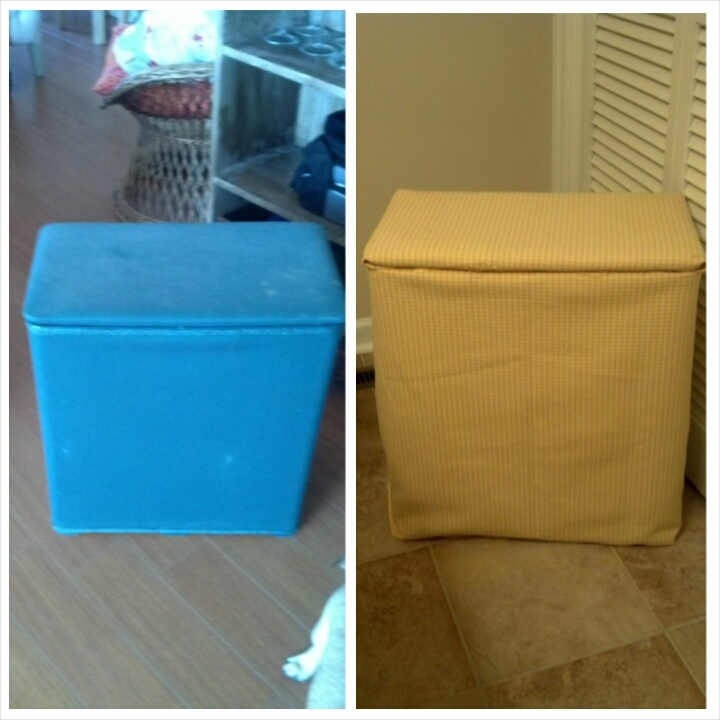 I cleaned it up and attached my pretty yellow fabric that I found a couple of months ago at the thrift store for $1. It’s not perfect but it does the job a lot better then the old basket. Total Wine gives away there wine boxes for free. They were super easy and cheap to make. To see the before and after check out my older post here. 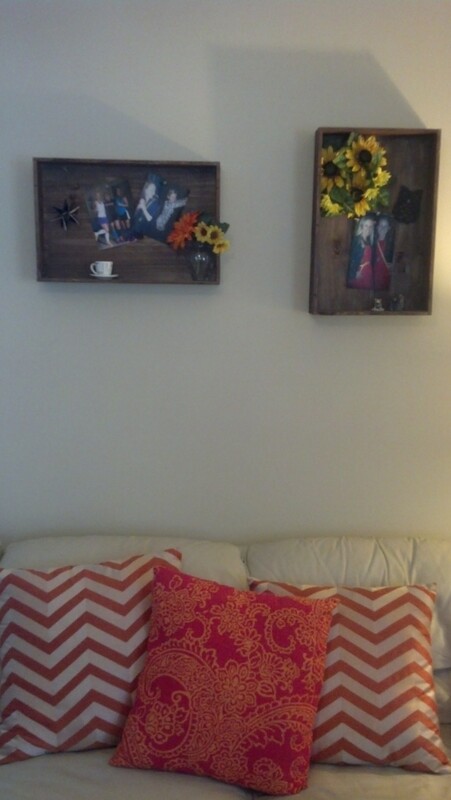 All that I did was stain the boxes and add wall hangers to the back. I love using these as our wall art in the living room. This window shutter was found at my local thrift store ($0.25). I painted it with the same blue paint that I painted our dresser; developed some of my favorite pictures and turned it into a cute frame above our bed. To check out any of my other crafts just click HERE or go to the CRAFTS link at the top of the page in the Menu bar.